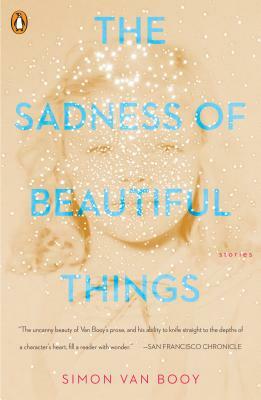 The Sadness of Beautiful Things: Stories (Paperback) | Fountain Bookstore, Inc.
Simon VanBooy's latest collection features stories based on actual people the author has spent time listening to for the past ten years. The planet would be such a better place if we could all listen like Mr. VanBooy. Through his interpretations, we as readers can fully inhabit characters very different from ourselves and feel their grief, soar with their choices to use personal tragedy to shape themselves for the better and create a more beautiful world. These are everyday people: a boxer with, perhaps, unrealistic dreams for his future unexpectedly shows a kindness to a mugger; parents struggling to accept the loss of a child; an insomniac woman picks up a hitchhiker while driving alone at night and the encounter changes both of their lives. VanBooy is one of my all time favorite writers. He is that rare sort that writes sentences of such grace and simplicity, detailing in words human emotional states we feel every day but could never articulate. And he does it perfectly every time. When I finish one of his books, I immediately want to turn it over and start it again. If you like Kelly Link and/or Haruki Murakami, the collection would be a good choice for you. Not because they are particularly similar, but because some of the emotions I feel when reading all three are on the same level of intensity. And that "brain tickle thing". You know what I'm talking about.